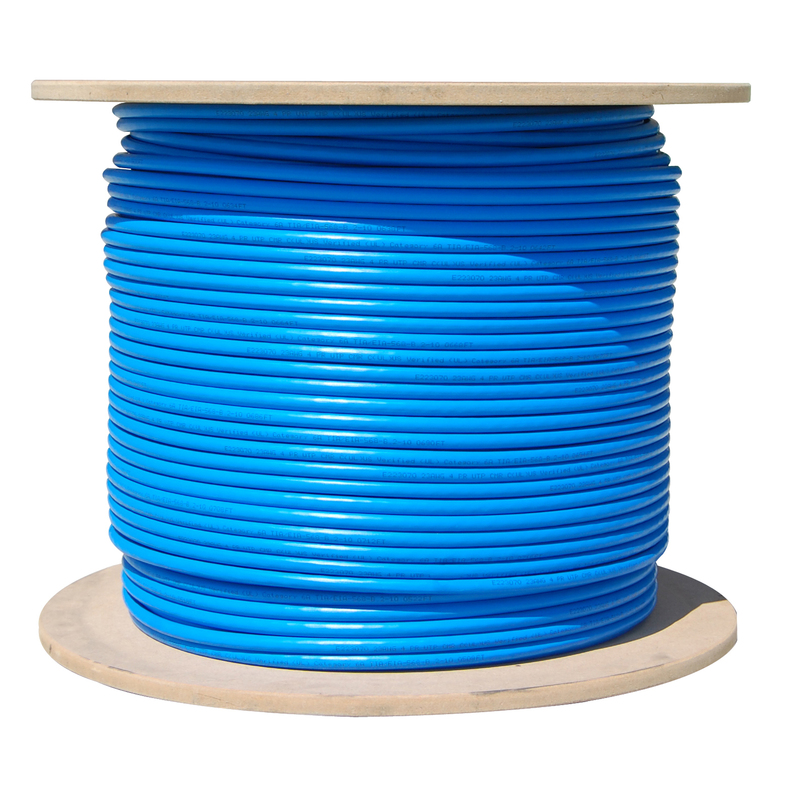 Our quality, bulk 1,000-foot, blue plenum solid Cat6a Ethernet cable is conveniently spooled for easy dispensing and for easy storage. This high-performance Cat6a plenum-rated Ethernet cable is often used to establish new wiring or to update or rewire existing networking and phone infrastructures. Cat6a cable is known for its fast data transfer speeds, and is therefore used in network applications - it has been designed specifically for 10 Gigabit Ethernet applications. This plenum-rated blue bulk UTP (unshielded twisted pair) is 4P CMP-rated. In UTP cables, conductors are twisted around each other in order to cancel out electromagnetic interference (EMI) from external sources. Additionally, this 500 MHz cable features individual conductors that are made of premium quality, 23 AWG (American wire gauge) solid pure copper, which is known for its excellent conductivity and superior performance in conductor use. This Cat6a Ethernet cable is RoHS compliant. Additionally, our Cat6a Ethernet cable exceeds the EIA/TIA-568-C standard. In a typical residential environment, an in-wall rated cable will suffice. However, additional requirements are necessary when installing cabling in commercial buildings. This is due to the "plenum" - a designated area between the floors or above the office areas that is used for heating and cooling airflow. If an office were to catch fire, this plenum area could easily allow the fire to spread to more floors, or across the entire building. Cables that do not have an outer jacket rated for in wall or plenum use may cause a fire to become more intense. Plenum-rated cables are jacketed with a fire-retardant plastic jacket made from either a low-smoke polyvinyl chloride (PVC) or a fluorinated ethylene polymer (FEP) for less toxicity during a fire. 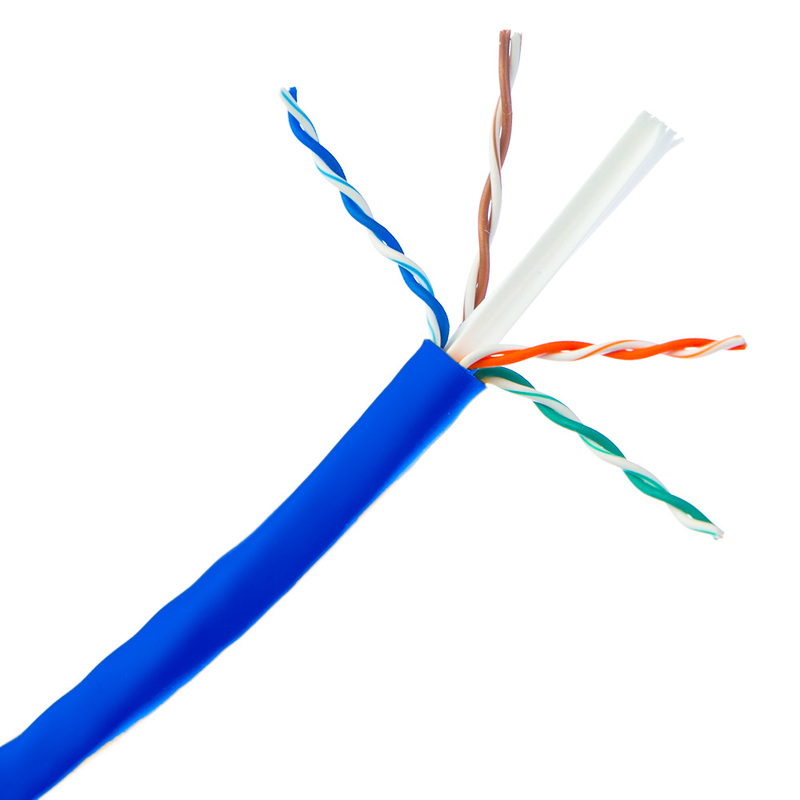 This Cat6a Ethernet cable's jacket is made from low smoke, flame retardant polyvinyl chloride (LSFRPVC). If a fire gets into a plenum rated area that contains plenum rated cables and the fire spreads, the cables will not be to blame.